After several delays and repeatedly ignored warnings, the federal government is starting to recognize the threat posed to national security by an electromagnetic pulse, or EMP, event. The Federal Energy Regulatory Commission, or FERC, has begun taking steps to protect the nation’s power grid from at least the natural version of an EMP by proposing new regulation standards addressing the impacts of a geomagnetic disturbance, or GMD. The Act was passed to attempt to protect the electric power grid from a GMD generated by a blast of geomagnetic particles from the sun, which could destroy 300 or more of the 2,100 high-voltage transformers that are the backbone of the U.S. electric grid and leave over 130 million people without power. GMDs occur when solar storms on the sun’s surface send out streams of electrically charged particles toward earth, where they interact with earth’s magnetic field. This interaction could potentially generate EMP events that would send geomagnetically induced electric currents, or GICs, through transmission lines and through power transformers, wreaking havoc on the nation’s high-voltage power grid. As WND reported, the administration was scolded in congressional testimony last month for failing to prepare for the damage an EMP event could cause, with estimates suggesting the mass and prolonged power loss could making living in the United States “unsustainable” for 70 to 90 percent of the population. For even if America is spared an intentional EMP attack, nature has shown in the past she’s more than capable of crippling the power grid on her own. The largest solar storm measured to date was the solar storm of 1859, also known as the Carrington Event, which was observed and recorded by Richard C. Carrington. From Aug. 28 until Sept. 2, 1859, numerous sunspots and solar flares were observed on the sun. This solar storm generated a stream of electrically charged particles that headed directly for Earth. The particles were traveling at disturbingly fast speeds. Observed by the British astronomer Richard Carrington, the particles made it to Earth in just 17 hours, a journey that normally took three to four days. The resulting geomagnetic storm caused aurorae to be seen around the world, even over the Caribbean. 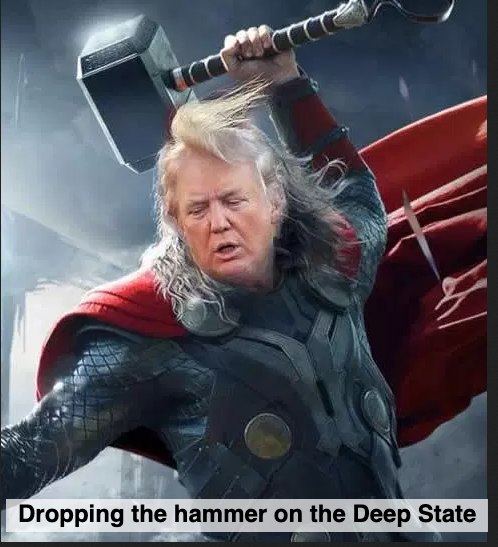 The light generated from the storm over the Rocky Mountains was so bright that it woke up gold miners, who began making breakfast, thinking it was morning. A similar phenomenon is feared to manifest itself next year when the current solar storm cycle reaches its peak. The national power grid is not the only system that is vulnerable to space-based storms. Any networked system that can conduct electricity over long distances is vulnerable to electromagnetic disruptions. Examples of these conducting networks are not only electrical power transmission grids, but also oil and gas pipelines, undersea communication cables, telephone and telegraph networks and railway systems. GICs can also cause accelerated corrosion of pipelines as well as disruptions to geophysical exploration surveys and oil and gas drilling operations. GICs caused a magnetic storm on March 13, 1989, in Canada. A GIC caused widespread electric power system problems, the most severe being a power-system-wide blackout on the Hydro-Quebec power system, with the damage extending as far south as New Jersey. Large-scale blackouts can have serious economic impacts even if power is restored in a few hours. A four-hour major blackout in France cost over 1 billion dollars. In a study of the economic impact of a major blackout in the U.S., it was estimated that the cost of a blackout in the Northeast United States could easily exceed several billion dollars. In a 2010 joint study prepared for the FERC, the Departments of Energy, Homeland Security and the Oak Ridge National Laboratory reported that GMD events can develop quickly over large geographic areas, having the capability to produce large outages and significant damage to electrical distribution equipment. There is a fear among some government agencies that a geomagnetic storm could cause permanent damage to large transformers and long lead times until power is restored to the power grid. In a recently released FERC report, any recovery of electrical systems could plausibly extend into months in many parts of an impacted region. The report notes that large power distribution transformers usually cannot be repaired in the field, and if damaged, would need to be replaced with new units, which have long lead times. “The physical damage of certain system components (e.g. extra-high-voltage transformers) on a large scale, as could be effected by any of these threats, could result in prolonged outages as procurement cycles for these components range from months to years,” the report stated. If these systems are damaged, it is anticipated that the affected area would suffer power rationing and rotating blackouts. Further threatening national security, the technology for manufacturing these transformers is no longer found in the United States. The technology to manufacture this equipment now resides in Germany and Japan. Estimates prepared by the National Research Council of the National Academies concluded that these events have the potential to cause widespread, long-term losses with economic costs to the United States estimated at $1-2 trillion and a recovery time of four to ten years. The government recognizes in the report that there could be substantial costs associated with some measures to protect against damage to the grid, but the harm to society would be much greater. For example, estimates for installing blocking devices on transformers range from $100,000 to $500,000 for each affected transformer, but the estimated total cost of the August 2003 four-day blackout in the United States was between $4 billion and $10 billion. Priority has been placed on protecting “priority loads,” providing service to hospitals, law enforcement, emergency services and other critical infrastructures. In the short term, special emphasis has been placed on setting up operation procedures to protect the grid on short notice. 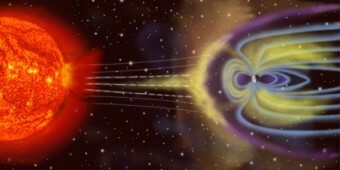 At an April 30, 2012, technical conference, Mr. William Murtagh, program coordinator at the National Oceanic and Atmospheric Administration’s Space Weather Prediction Center, stated that a warning is issued when a geomagnetic disturbance event reaches the NASA Advanced Composition Explorer satellite, and at that point, in some cases, it could be 20 or 30 minutes before the event reaches the Earth’s magnetic field. Not everyone, however, favors these coming regulations stemming from the SHIELD Act.